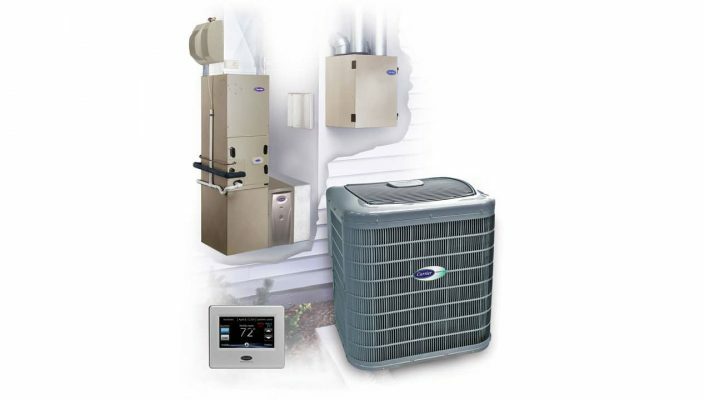 There are several great reasons to upgrade your homes hvac unit, including getting your monthly bills lower and increasing the unit’s cooling capacity. Newer models tend to have better efficiency ratings and require fewer repairs during the first years after your purchase. You’ll also find that you’re more likely have a comfortably temperate home all year long. A lower monthly utility bill is probably the number one reason homeowners decide to upgrade their hvac system. Those newer units have the benefit of the latest innovations in cooling technology. New AC units don’t have to work as hard as old units to achieve cooler air and newer heating systems heat your home without as much work. Every time your appliances don’t switch on, your heating and cooling budget gets a break. Plus, higher efficiency appliances are generally better for the environment, so you can be happy about your peace of mind along with the extra padding in your wallet. Every year your air conditioner switches on the summer and every season your heating appliance comes to life, there are losses in efficiency. At first, you probably won’t recognize the loss of air flow and the lack of properly cooled or heated air. If you wait long enough, however, you’re sure to notice that it’s harder to stay comfortable at home. You don’t need to wait until you’re uncomfortable, though. Instead, upgrade your homes hvac unit as soon as you notice an increase in your monthly bills or more noise coming from your appliances. Even if your existing system is only five years old, a newer unit will be an improvement. If you’ve done any work on your home, built some add-ons or insulated new areas of the home, your existing unit will struggle to adequately cool or heat the space. This is especially true if you add new windows or rooms to the home. It’s important to upgrade your unit so it is sized appropriately for the additional living space. You’ve probably considered potential increases in your property value as you completed home improvement projects; an upgraded hvac system can also boost that property value. If you plan to sell your home within the next few years, this can be a very important upgrade. Finally, new air conditioning units and heating systems offer increased air flow through the home. This air movement is important for evening out the temperature throughout the home and it also helps introduce clean air into each room. Newer systems are more likely to have better air filtration systems, removing dust and preventing mold growth. In addition to healthier air, you can also enjoy the peace of quiet appliances. Older air conditioners and heating systems tend to become noisy and can disrupt the calm you hope to achieve at home. New equipment that has been properly-sized tends to operate much more quietly so you can enjoy comfortable temperatures and noise levels. If you’ve had any reason to believe it’s time for a new hvac unit, consider the financial savings, improved efficiency, increased property value, and better health for your family. There’s a good chance that the benefits of making the upgrade outweigh any disadvantages.